Another bungalow along the Tennyson Street commercial corridor in Berkeley has been sold ahead of planned redevelopment. Denver-based First Stone Development purchased 4353 Tennyson St. last week for $900,000, according to county records. 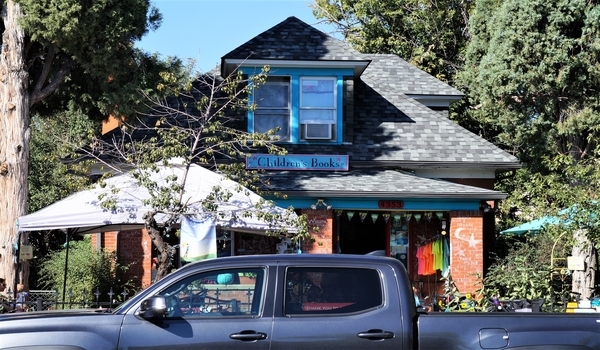 The 1,204-square-foot building on a 0.13-acre lot, once a residence, dates to about 1916, and is currently home to children’s bookstore Second Star to the Right. The property was sold by Speedy Dog LLC, which purchased it in September 2014 for $575,000, according to records. The entity is controlled by Marc and Dea Lavoie, owners of the bookstore. The Lavoies plan to move the business to 1545 S. Pearl St., but for now they are leasing back the Tennyson Street property. First Stone CEO Lenny Taub said he hasn’t finalized redevelopment plans for the site, but that his current vision is for the existing structure to be demolished and replaced with a three-story building with retail on the ground floor and micro apartments above that. It will be Taub’s second project along the rapidly changing street. A block north, First Stone also owns 0.43 acres between 4469 and 4485 Tennyson St. The lots have been cleared, and Taub said he expects to break ground on 27 townhomes within a month. Taub said he likes the neighborhood’s walkability and atmosphere. “It’s a young and hip environment,” he said. Taub also recently started sales for 17 townhomes he’s building at 3360 W. 38th Ave.; he expects to wrap up construction in the spring. And he’s also planning redevelopment near the intersection of Santa Fe Drive and 6th Avenue, after spending $2.65 million on lots in April. Correction: This story has been updated to correct the address to which bookstore Second Star to the Right is moving.